Today, I’ll be reviewing the Real Techniques expert face brush. Our expert face brush is ultra firm and broad for perfectly buffed foundation and an airbrushed finish. It gives the buff you need to experience and is ideal for cream and liquid foundations. This is my go-to foundation brush and is excellent at applying liquid foundation…I haven’t tried it with cream foundation so I don’t know about that.. 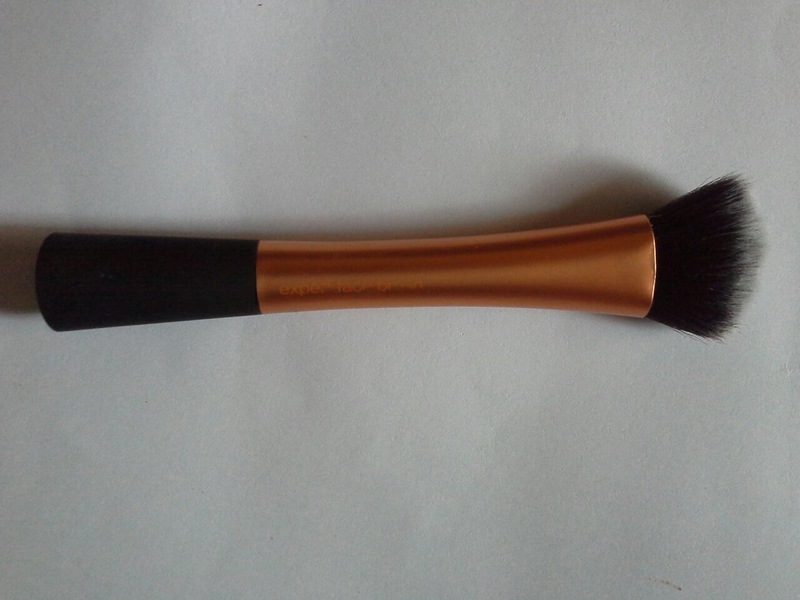 It is an orange and black brush with black and white bristles…The bristles of this brush are densely packed; so it applies foundation with full coverage.. I also like that the bristles are shaped in a way that foundation gets to the sides of your nose and corners of eyes without leaving streaks. It gives a lovely finish to foundation application. I’ve had this brush for about 6 months now and it hasn’t shown any sign of shedding..
What’s your favorite foundation brush and why? ?Leave your comments and thoughts below!! My name is Ifedayo and I am a beauty enthusiast living in Lagos, Nigeria. I have always been enthralled by the confidence that beauty inspires. With the right makeup, skincare and beauty regimen, I believe that women can be the most beautiful and best versions of themselves. I started this blog to empower Nigerian women to "bring forth" their inner beauty. I hope you enjoy reading my posts as much as I enjoy writing them. What foundation do you use with this brush? I’ve tried a couple and it was a disaster! My favorite foundation brushes are e.l.f. Ultimate Blending Brush and Wet n Wild Flat Top brush. Sigma F80 is also a really good one! I use the Maybelline Fit me Matte and Poreless, Revlon Colorstay..and it was awesome with both…what foundation did u use with it?? I’ve tried the Revlon ColorStay. I don’t really care for that foundation period though. I’ve been meaning to try it with Maybelline Fit Me Matte + Poreless, but I haven’t yet. I like to use this for blending out my contour! Search your favourite topics here!